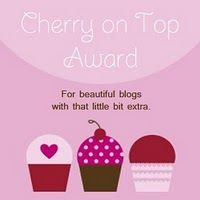 I wanted to thank Mary over at Luv To Scrap for a very special Cherry on Top Award! 1-Thank the person who gave it to you. 2-Copy the award to your blog. 3-List 3 things you like about yourself. 4-Post a picture that you love. 5-Tag 5 people you would like to give the award to. 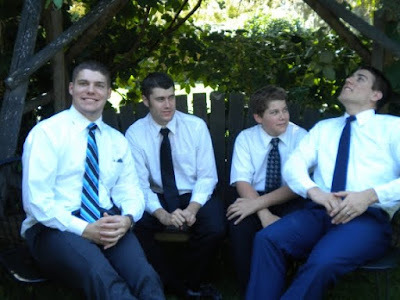 And here is a picture that I love alot...my 4 sons! It is so hard to get them to cooperate and pose at the same time. But, this picture pretty much is a good indicator of what it is like being their mom...total chaos and I love every minute of it! And this award now goes out to my wonderful design team members present and past! Anne, Pam, Beth, Madison, Gaby and Mariam. Hugs all around!! handsome fellas..good luck to you 4 boys..yikes!! I have one son and he is the apple of my eye! Your sons are so handsome, congrats on the award and thank you for thinking of giving one to me. You are so sweet. It was a nice welcome home present to find as having been blog hopping. Miss you all. I got the chills seeing the picture of your sons!!! and thought about a combination of (I don't have a son, so I wonder what it feels)having all sons and you having been blessed with a grand daughter!!! I know that!! feeling! !